Can you imagine a photographic career that lasted 70 years? 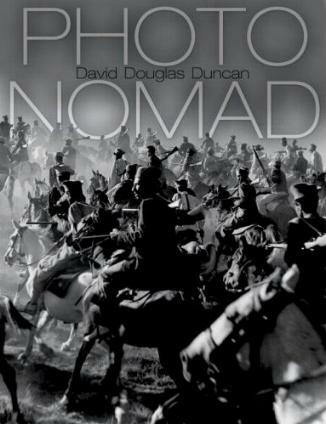 Famed photographer David Douglas Duncan has photos of the Korean War, lots of pictures of his friend Pablo Picasso, many personal pictures, foreign destinations, war photos, animals, and a whole lot more. These are a collection of miscellaneous photos which are nearly all accompanied by his text (not always easy to "get") about his life and his projects. This photo-journalist extraordinaire has seen much in his lifetime, and captured even more with his trusty cameras. His work and photo-essays have been published around the world. There are many photos to page through but they are confusing and very often aren't identifiable, which is disappointing - more so the layout of the book I would assume, rather than his doing. This man got himself into many memorable situations, but on the whole, I found the book pretty disappointing. I know much of photographic art (and most art for that matter) is subjective, and I found it hard to appreciate so many anonymous pictures. Conclusion - Probably wonderful for collectors.